Do you want to have input in the final settlement? Is the relationship with the other partt(ies) involved important? Is saving time and money significant ? What is Mediation? Mediation is a confidential collaborative process in which people have an opportunity to resolve their differences by sitting down together and discussing the issues with the help of a mediator. A mediator is a neutral third party who facilitates the meeting, helping the parties involved to discuss their differences, explore options for resolution and negotiate a mutually satisfactory resolution. Mediation is private. At the beginning of the mediation session, the mediator will thoroughly explain the process, and cover the ground rules that will be followed. Each party will then have the opportunity to share his or her perspective of the issues. After the joint meeting, parties have the opportunity to meet separately with the mediator. This session is called a "caucus". The caucus is an opportunity for people to speak candidly with the mediator. He or she will not share anything with the other party or parties unless permitted to do so. Mediation does not remove a person's right to take an issue before the court. Rather, it provides people with the chance to create an agreement that meets their needs and resolves the dispute. The parties involved retain decision making power. The results are up to you! To schedule a mediation click on the box below. Case Types:Domestic, Child Support, Custody, Parenting Time, Modification, Partner Dissolution, Juvenile, Eldercare, Neighborhood, Workplace, Commercial disputes and Personal Injury. 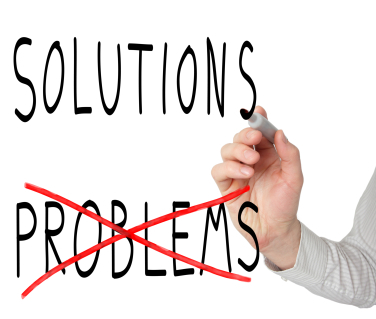 Mediator Panel: Resolve to Solve, Inc offers experienced mediators that understand the importance of your case/issues to you. The mediator has been trained by state approved trainers and meets all criteria necessary for registration with the Georgia Commission for Dispute Resolution.